Text message marketing is probably something that you have heard plenty about, yet you probably know little about. Text message marketing is THE way to communicate with those within your organization and customers, too. It is the easiest, quickest and most popular form of marketing for businesses small and large. It reaches people on their cell phone, and be honest –when is the last time that you went out anywhere without seeing cell phones and smartphones in the hands of everyone that you encounter? In fact, research proves that more than 97% of all SMS messages are read within 4 minutes of them being sent. Versatile and effective –Send coupons, discounts, promos, special offers, holiday accouchements, inform employees of announcements and news, new products/stores and so very much more. Still a little bit confused? Don’t worry. Text message marketing explained is what we are here to do. 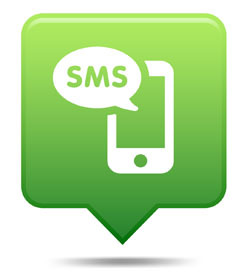 Text message marketing is a form of communication between a customer and a company. Almost any type of business, of any size, can benefit from text message marketing. Those who like your company can ‘opt-in’ to receive these special marketing messages from you. It is simple to use and highly beneficial, and can be used to speak to a customer in many different methods. How do you make anyone do anything? Make them an irresistible offer they simply cannot refuse. Many companies give a freebie for joining the list. Restaurants can give out a free drink or an appetizer; nightclubs can offer free admission or a free drink; hair salons can provide a free cut. There are many possibilities to get people to say yes to your list. Don’t worry if you think this is going to cost you a ton of money –it’s not. Once they arrive at your establishment they are likely to use more than the freebie. So, they’re happy, you’re making money. Advertise your text message marketing list in every avenue possible…inside of your store, on your website, through email marketing and more. There are also a few things that you need to keep in mind when using text message marketing. First of all, do not spam people. They do not need to have Twitter all over again, nor will this make them want to continue to receive messages from you. Spam can be anything from irreverent offers to multiple messages over a span of time. Allowing customers to choose how often they hear from you is a good idea, but make sure that you send no more than one message per day –unless great things are happening. Also be certain that there is a great text message marketing company standing behind you and guiding you through your campaigns. Cost is always a factor, but remember that you get what you pay for. Text message marketing is affordable enough that settling for less is never anything you need to do. Branded SMS Open Rates Are Really High. Here’s Why.